Students hope new president will give their country a better future. Liberia, one of the smallest countries in Africa, has been a victim of civil war between political groups and ethnic groups. But most people agree that something good has finally happened. 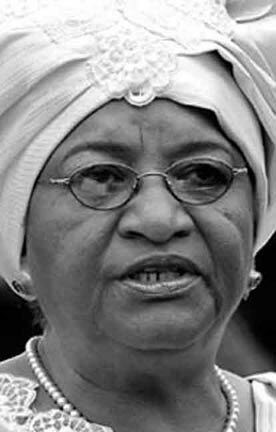 On November 23, 2005, there was an election with a final decision of Ms. Ellen Johnson-Sirleaf being elected as president. She is the first democratically elected female president in modern African history. According to news reports in the election, Ms. Johnson-Sirleaf, called by some the “Iron Lady,” took 59% of the vote compared to 41% for football star George Weah. “She has been running for the presidency for years without success. I’m happy with this result because she’s a strong woman who fought hard to get her dreams,” Famatta Green, a Blair sophomore who is from Liberia, said. Liberia has had many problems since 1980 when a civil war started which deeply decreased the economy of the country and caused a lot of suffering. “There’s been a corrupt government and lack of employment opportunities which resulted in a mass exodus of people,” Ms. Barclay, a teacher at Blair who is also from Liberia said. Some people believe that there won’t be any corruption because she knows how to get around other people for help. “She’s old and she doesn’t need money,” Famatta Green said. Ms. Catherine Sagno, who works for the Embassy of Guinea, a country that is near Liberia, says that Ms. Johnson wants to make her country a better place. “Not only she’s planning to bring water and electricity in the country, but she will also contribute in the processes of keeping peace in West Africa,” Ms Catherine Sagno said. Ms. Sango also believes that by being the first woman president in Liberia, Ms Johnson will be facing lots of challenges during her presidency of Liberia’s government. “But with the assistance of the patriots of Liberia who remember the terrible war that divided the country for years, Ms Ellen Johnson will be able to safeguard the interests of the nation,” she said. Ms. Barclay agrees with Ms. Sagno. “One of her challenges I think will be trying to persuade her opponents to work with her in establishing a stronger united country and a better economy,” Ms. Barclay said. This includes re-establishing an ongoing relationship with the U.S. and other nations. Ms. Barclay also thinks that Ms. Johnson will need to clean the government of corruption, to hire people who are qualified to work in her government. After all the horrible things that have happened, many Liberians are expecting a new peaceful life in the country. “I hope she makes Liberia a better place so when we go back one day, we will be proud of our country,” Famatta Green said.